Whatever your needs, you’ll find the perfect gas or electric oven for your kitchen. The Silverlink 600 series is perfect for those who require a powerful electric oven, and both the V6 and V7 are available with glass doors for added convenience. The V6 model can accommodate 2/3GN dishes and offers a static powerful roasting oven, whereas the larger V7 can accommodate 1/1GN dishes. Both the V6 and V7 are fan assisted, which ensures superior heat distribution and reduced cooking times, while also being capable of cooling down rapidly. 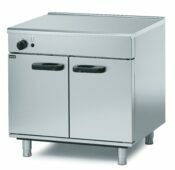 If you require a gas oven then the Phoenix series is for you. 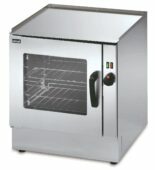 These gas only units provide large capacity ovens for high volume outputs, and are capable of holding 4 x 1/1 GN per oven. These units are robust, no frills, pieces of equipment that are perfectly suited to busy high volume output environments, such as the public sector, schools, care homes, colleges, and also larger restaurants.